But stop and loiter all the time, to sing it in ecstatic songs." 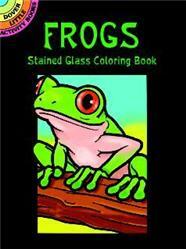 We hope our book section will help you begin your studies in stained glass. For those of you with more experience, we encourage you to loiter and sing about it in ecstatic songs. We've worked hard to give you a lot to sing about. Enjoy. 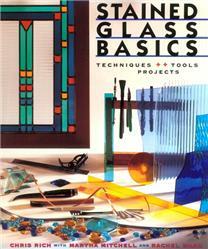 Books for the absolute beginner as well as for experienced glass artists who want to learn more. Some of these books contain a fair number of patterns. All of them contain instructions, tips, and general advice. Table lamps, hanging lamps, prairie style, traditional Victorian, they're all represented in this collection of lampshade pattern books. 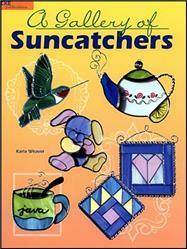 Mostly suncatchers, but other small items as well. A great place to go after you've acquired basic skills. We include a great variety of titles in this section. Some of the smaller panels depicted in these books could be called suncatchers, and some of the larger could be called windows. You nit pickers out there might find this disturbing; we hope the rest of you will enjoy yourselves browsing our selections. 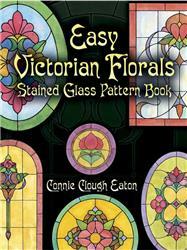 Simple to complex, Victorian to modern abstract, these pattern books cover quite a range of styles. 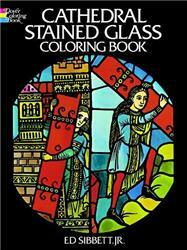 For those of you who have ventured, or wish to venture, beyond the traditional stained glass methods and applications, we include these titles for your perusal. Who says you need to stick to two dimensions? Move beyond Flatland to Spaceland! 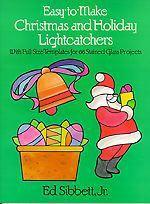 Candy dishes, shadow boxes, night lights and jewelry boxes are among the items portrayed in these pattern books. This page's title pretty much tells the story. 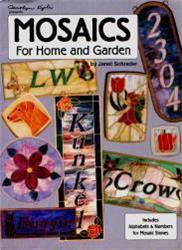 About a dozen books of Christmas and winter patterns to help you while away the days until spring. A perfect little gift! The special paper they are printed on allows light to shine through. When the pictures are placed by a windowpane, the sunlight shines through them the same way it shines through colored glass. These little books make great gifts, party favors, or stocking stuffers and they are fun for adults as well as children! 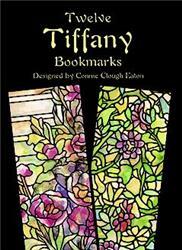 Bookmarks and stickers for you grown-ups, and stained glass coloring books for the rest of us.